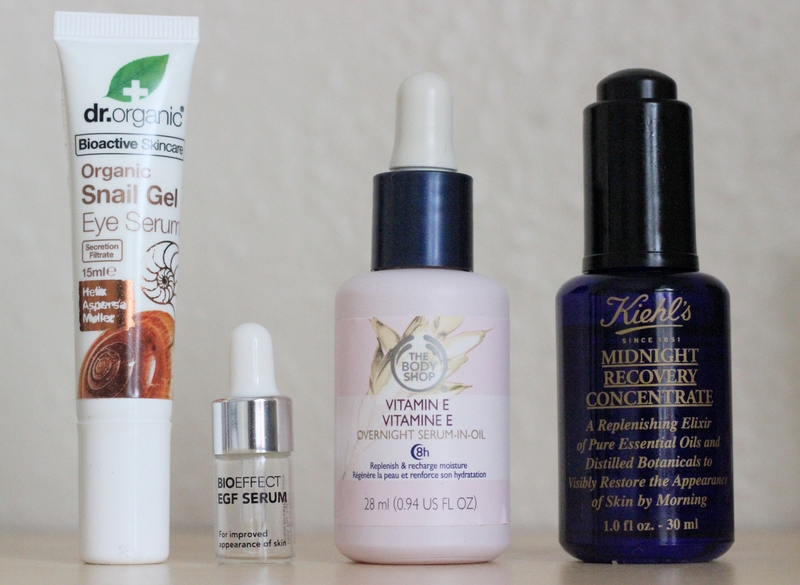 Dr Organic’s Snail Gel eye serum. These are the ones I have been using/have used recently. They all aim to enhance the visibility of the skin by repairing it. This is going to be a slightly lengthy post as we will be going into extreme detail about all of the 4 serums listed above. 1. 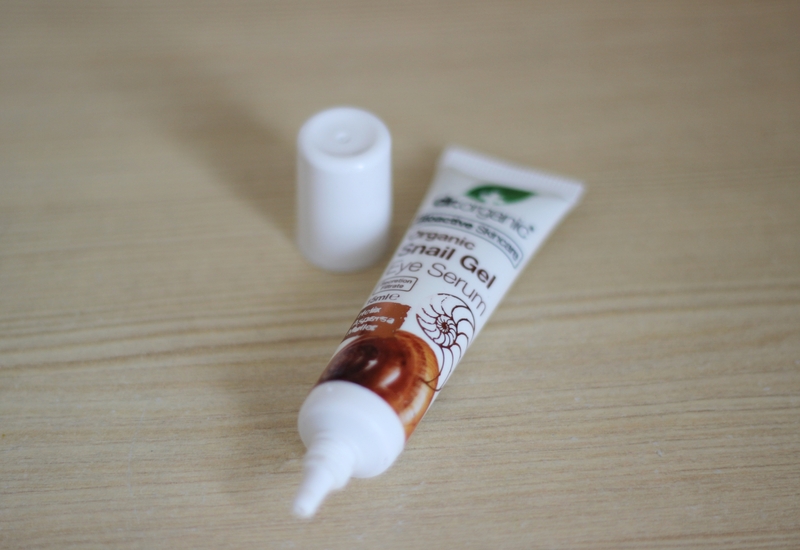 Dr Organic’s Snail Gel eye serum. It is used for targeting the eye area. Dr Organic claims it reduces wrinkles and fine lines within 4 weeks. However, the majority of claims made by skincare companies are not entirely true and I honestly do not think this one is either. The only reason I purchased the eye serum was because my eye area was extremely dehydrated as I was not using anything at all on it for treatment and this was really taking its toll. 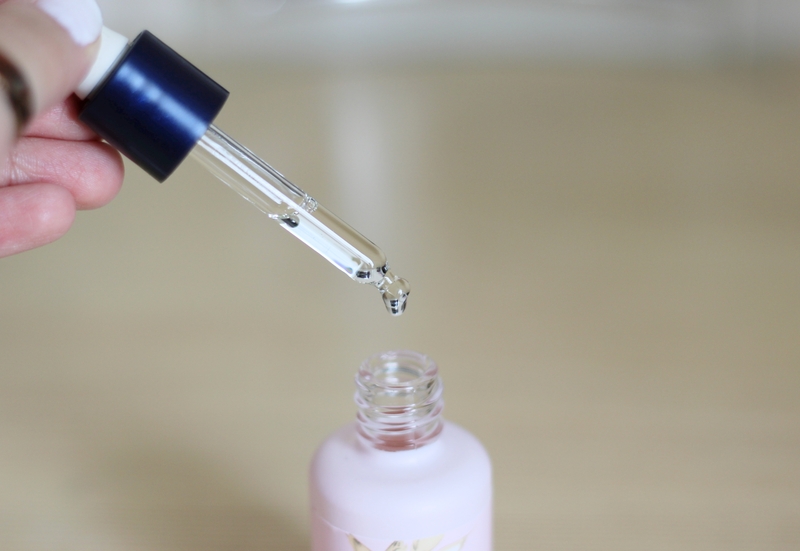 It needed a kick of moisture and this is exactly what the eye serum does. It moisturises and it hydrates. The texture is a runny almost yellow liquid which certainly does have a noticeable smell to it (nothing unpleasant, just interesting). In the time I have been using it (around 2 months), I have noticed it smoothing the texture of the skin around my eyes and slowly but surely eliminating the dryness. This serum has healing properties initially, due to the snail gel but additional benefits have been added because of the natural ingredients that have been fused with the snail gel. 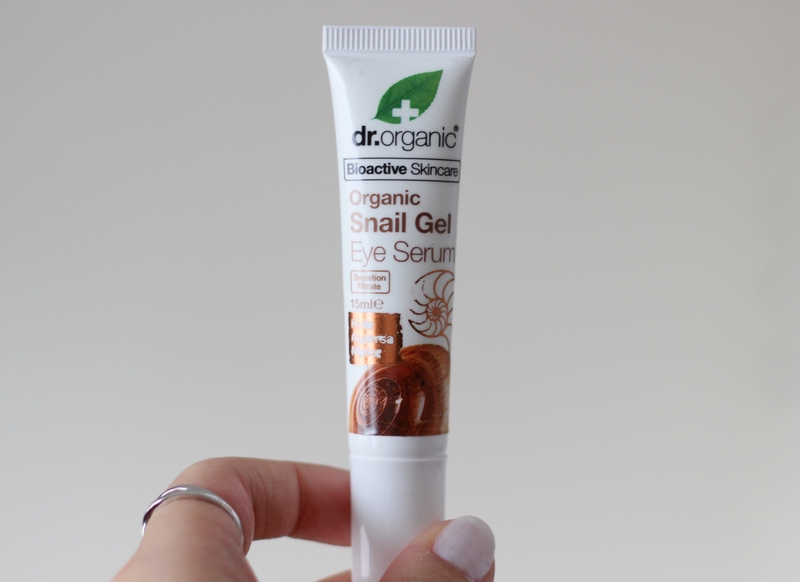 I have become a religious user of the Dr Organic’s snail gel range ever since I purchased the snail gel 5 months ago and it dramatically and immediately improved my skin. Therefore, it was the first range I turned to when searching for an eye treatment. It really does have a cooling effect on the eyes, especially after you leave it in the refrigerator for a while and then apply it. This is fantastic for the mornings as it contributes to waking you up (which is a real problem for me). Along with the moisture it delivers, I have noticed the slight crow’s feet I had on the corner of my eyes turn subtle and not appear as prominently as they once did. It is not crazy expensive and is also great for just throwing into your handbag when you’re on the go. I highly recommend this serum for anyone who is looking for a light yet effective treatment. It rubs in very easily and quickly but honestly does deliver well. I’m glad I opted for this product when searching for an eye treatment as I honestly feel it has dramatically improved the state of the area around my eyes. Give it a try pls you will not be disappointed. 2. 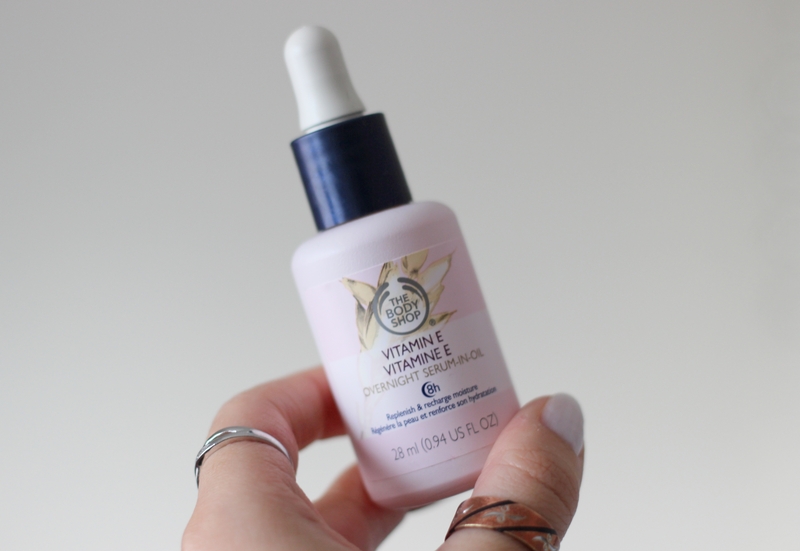 Bodyshop’s Vitamin E Serum. Vitamin E is an antioxidant which repairs the skin as well as protects it. It contains anti inflammatory properties among other things and can help to prevent skin ageing. This product is really for the times when you are going to be sleep deprived (exam season) and know your skin is not going to get the treatment it deserves due to the lack of sleep. 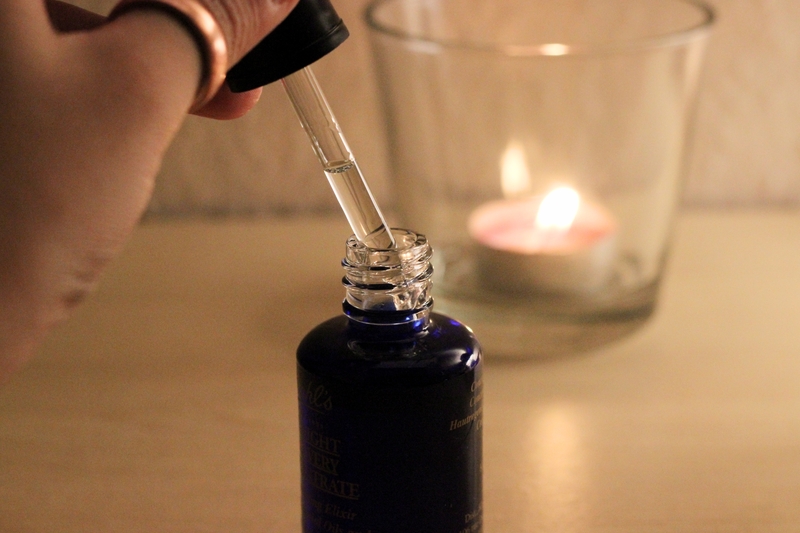 Night time is when the skin heals itself and this Vitamin E serum aids it in doing just that. If we do not give our body the 8 hour sleep it needs, it will eventually affect the skin and so the Vitamin E serum acts as a substitute for the benefits lost in the hours lost. Comprende? The pipette controls the amount it gives out. 1 pinch means 1 drop. Around 3-4 drops are recommended for the entire face. After patting the drops generously over the entirety of your face, gently massage it in. It smells so eatable (but this noticeably fades), is clear and has a silky texture. I used this after reading positive reviews of it online and really needed a night time serum because I had eliminated oils from my night time routine. However, my skin did not react very well to it and so I stopped using it. It caused my skin to dry up a lot. Everyone will react differently to it though. (: It is very inexpensive so I would recommend you try it if you are looking for a remedy for your skin because of a ridiculous sleeping pattern. If it does not work for you then make sure you double up on foods rich in Vitamin E. These would be almonds, tofu, shrimps, avacados, sponach, fish, etc. This stuff is actually magic. 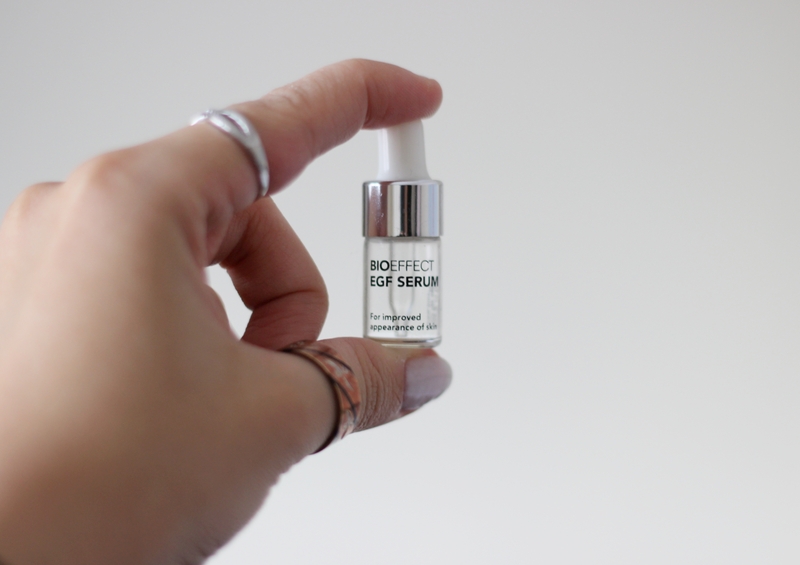 There is a whole story to it which you can read on the Bioeffect website here along with a whole load of valuable information on taking care of the skin which I would really recommend. However, I will quickly and briefly explain here. This serum contains cellular activators that are made in plants. The initial aim, before the launch of this product, was to use barley in order to produce cellular activators that were purer and more human like for medicinal purposes. Barley was the plant of choice because it is known for being good at producing and protecting the proteins in its seeds. Using biotechnology, the cellular activators are fused in with the barley seeds. The ingredients in Bioeffect’s skincare prodcuts are sensitive to many ingredients used in high end products, just like the skin is sensitive to them. It is advised to use the serum on a clean face in the morning or before bed for best results. You should wait a few minutes for the skin to fully absorb the serum before applying any moisturiser or make up. 4. 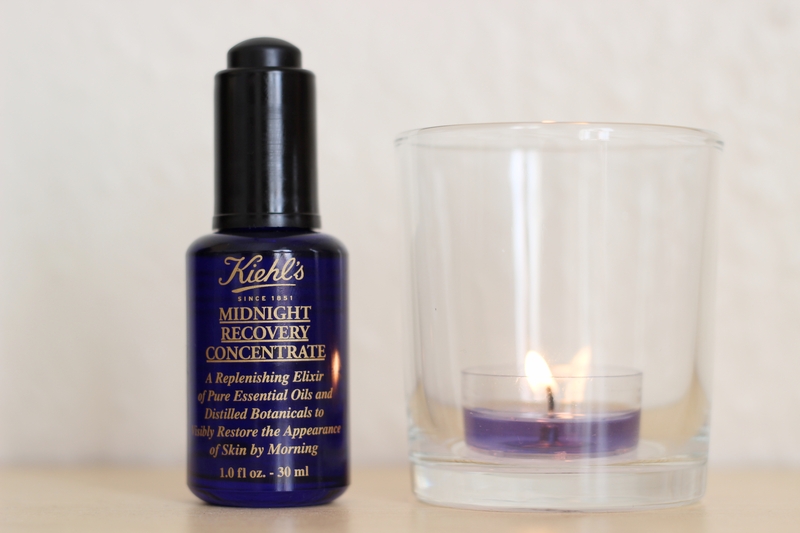 Kiehl’s Midnight Recovery serum. Squalane which is a botanical liquid that is similar to natural skin lipids with regards to the molecular structure. Omega-6 Fatty Acids which help to reduce the production of inflammatory compounds involved in the ageing process. Lavendar as an essential oil which penetrates skin’s surface to replenish it. All these ingredients together help depleted skin by adding a high amount of moisture. It is to be used at night time as this is the time where the skin is more receptive to repairing and healing itself from any daily damage. Again, the pipette controls how many drops are used and they are to be patted on to the skin and then massaged into it. It is clear and has a very light and silky texture. Previous article Mr Daniel Wellington. Next article Morning skin care routine.